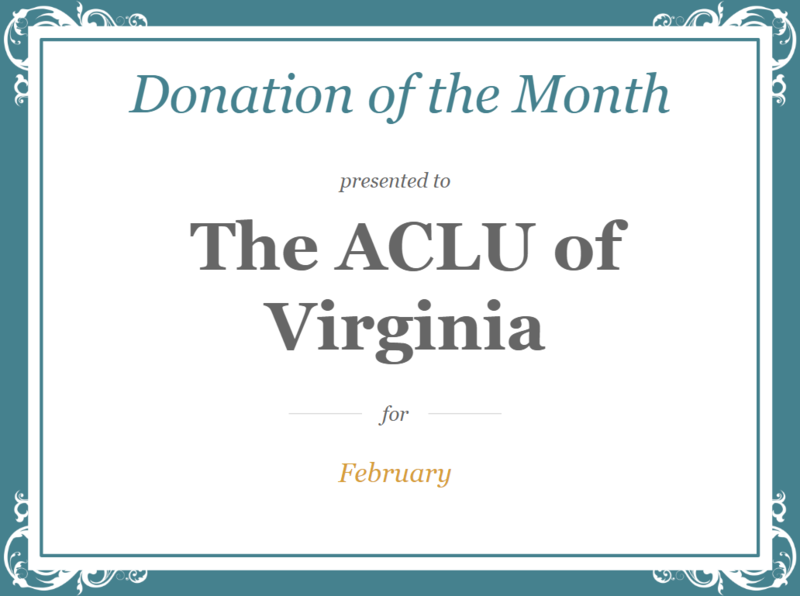 This month’s recipient is The ACLU of Virginia. But it’s not for the reason you think (kind of). The ACLU is all over the place right now. They are breaking fundraising records left and right. But that’s not why we’re here. We’re here because of Facebook Live. I remember the first alert I received when my first friend went “live”. A friend of mine was a guest DJ at a nightclub. I clicked to find a bouncy-shaky video of club lights and lots of people dancing. Then, I got a few more alerts. And more. IT WAS MORE ANNOYING THAN AN ALL CAPS EMAIL SUBJECT LINE. Fast forward to January 2017. I’m still not sold on “Live.” But I am sold on keeping tabs on the Virginia General Assembly. The antics in Richmond make what’s happening in Washington look like a sideshow. Think the characters of a Dostoevsky novel meets the backstabbing plot twists of a soap opera. And so I’ve relied on the ACLU of Virginia for years to follow these legislative sessions. At the end of January, I saw something a little different in their Facebook feed. They conducted several Facebook live sessions of bill discussions in subcommittee. It was a real way for me to see legislation-building (but mostly killing), in action. Fast forward two weeks, and they are at it again. This time they are at Dulles airport, supporting protesters of the recent executive orders. 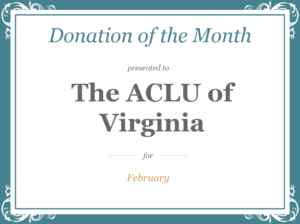 The ACLU of Virginia – for giving Facebook Live a purpose, you’re my donation of the month. You can also go ahead and donate to the ACLU of Virginia here, and follow them on Facebook. If you don’t live in Virginia, go ahead and find your affiliate.